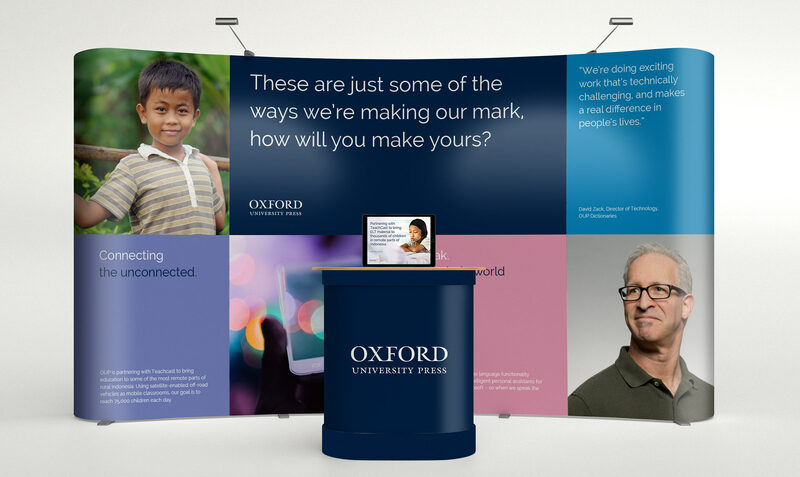 Oxford University Press had spent 18 months working on a strategy to develop their employer brand in line with their status as the world’s largest university publisher, looking to communicate to potential recruits, as well as current employees, the interesting career opportunities available. In March 2017 they invited agencies to present ideas to help them take forward those learnings and develop a clear employee value proposition and wider employer brand communications strategy. Beyond that there was a need to create a brand new recruitment website as well as a fully scoped internal comms programme to launch it. Having been selected to the task we set about absorbing all the qual and quant research and insight OUP had built up across various studies. We also convened a couple of workshops and meetings with senior leadership team members to help us attack the challenge quickly. From the outset we looked to figure out what was it that OUP really offered – both to people receiving their published material as well as those working for OUP in the delivery of it. 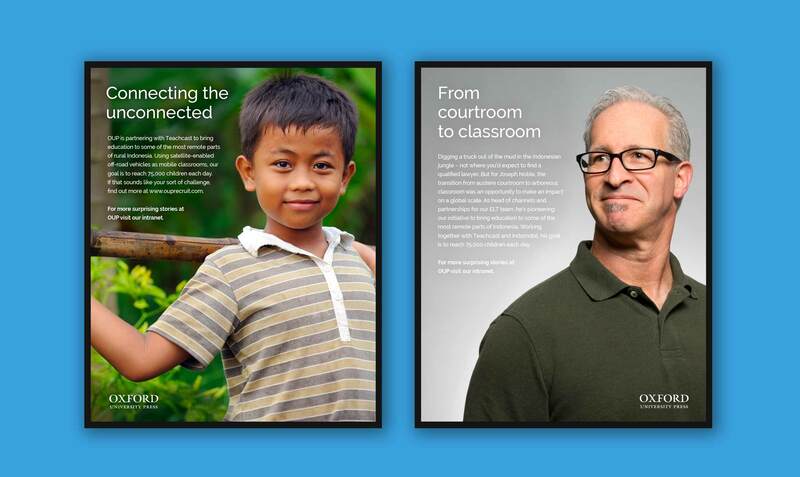 Our working proposition centred around the idea of ‘freeing minds to do brilliant things’ as that is what we determined the work OUP does is really all about. 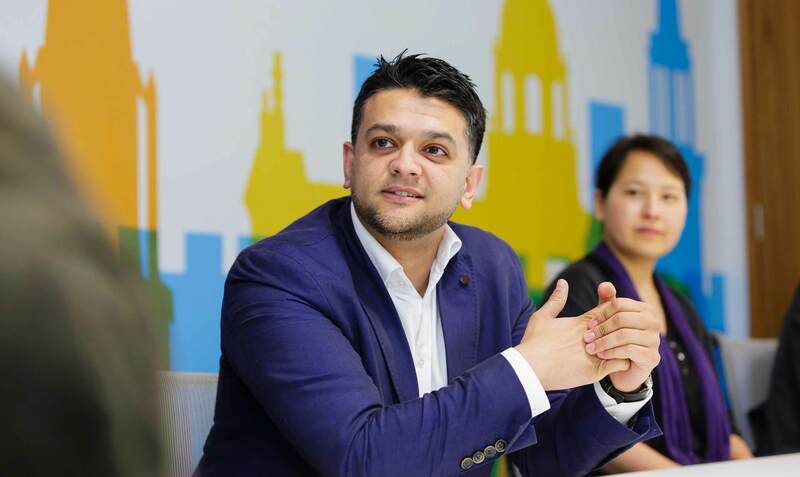 We figured it’s at the core of their offer to employees, in as much as the organisation is constructed around giving people roles and responsibilities that contribute to the publication and delivery of world class educational materials. And it’s also reflective of what those materials they publish ultimately give the opportunity for people to do. From schoolkids to university students, academics to any type of scholar, the aim of OUP’s work is to fire the imagination, stimulating brains to further thought – thoughts which lead to who knows where. With the core thought on board we needed to find a way to deliver it in a manner which could speak to someone at an individual level and in language that wasn’t perhaps quite so lofty. 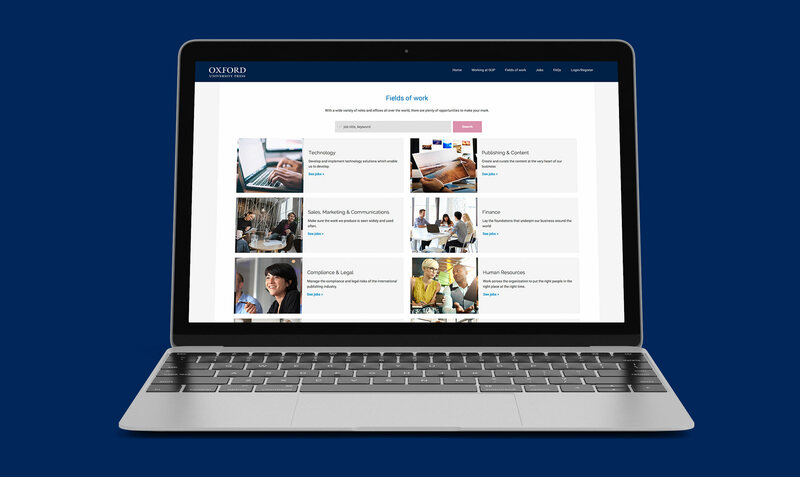 So we settled upon a direct approach, leading with the headline of ‘Make your Mark’, our idea was to encourage the individual that OUP is a place where you can come in and make a difference in your job. And we deliberately steered away from specifying what making your mark actually is as we recognised that not everyone would have the same ideals or goals. To some it might be to help change the face of education in Pakistan, to others it might be just to turn up every day and do their job to their best. Make your Mark was designed to give people room to see it and do it their way. That in turn is reflective of the attitude of the organisation – it is looking for people to give of their best, in whatever sense they define it rather than having a huge corporate ambition imposed upon them.